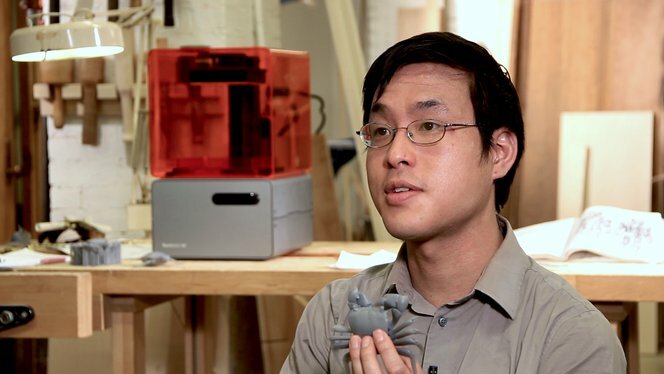 Brian Chan: Art meets craft in virtuosic 3D design with the Form 1+. MIT Craftsman: An MIT alum, Brian hones his skills at the MIT Hobby Shop. Brian's designs are difficult and expensive to traditionally manufacture. His Mantis shrimp, for example, has more than 100 moving pieces. The models were originally designed for SLS Nylon printing, but the Form 1+ is up to the challenge of such complex structures. You can purchase his designs through his Shapeways store. Re-invigorating tradition with technology through 3D printing. Read about Brian’s latest project, a fully-functional 3D-printed acoustic violin, on our blog.